Pulkovo Airport serves as the gateway to the city of St. Petersburg. At 4.6 million inhabitants, it is the second largest city in Russia. To sustain the city’s economic growth, the airport has to accommodate an increasing number of travellers every year. Situated 20km from downtown St. Petersburg, Pulkovo Airport is currently ranked as Russia’s fourth largest aviation gateway after the three major Moscow airports. For some years already, Pulkovo Airport has been close to reaching maximum passenger capacity. In 2008, the City of St. Petersburg announced an international tender for a 30-year concession to develop and operate Pulkovo Airport. The tender was won by the consortium Northern Capital Gateway (NCG), with Ramboll supporting NCG as design consultants throughout the whole bidding process. In early 2010, NCG appointed Ramboll as lead designer of the project, which is one of the most ambitious aviation projects currently underway in Europe. The modernisation project comprises a large-scale redevelopment and expansion of the existing airport. The airport redevelopment puts passenger capacity at approx. 14 million passengers per year, and holds the potential for increasing that number to 17 million in the near future (up from 8.4 million passengers in 2010). A new terminal building and pier are to be constructed, while the existing terminal building will be refurbished. Airside infrastructure and operational support facilities will undergo a major overhaul, and landside property development includes construction of a new four-star hotel, a business centre, and extensive parking facilities. 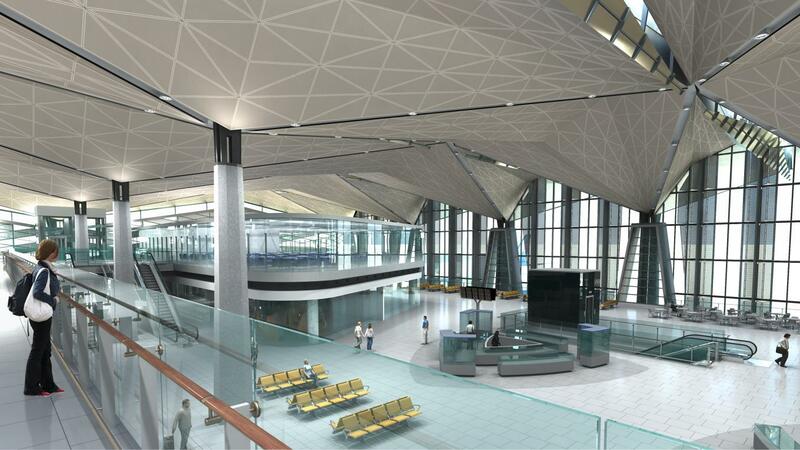 Ramboll in Russia, UK, and Denmark contributed to the success of the Pulkovo Airport modernisation project by combining their expertise within various engineering disciplines. This was most prominently demonstrated in the areas of master planning, environment, operational studies, and structural engineering. By working in a multi-disciplinary, cross-cultural environment, the project team delivered a highly sophisticated design project.